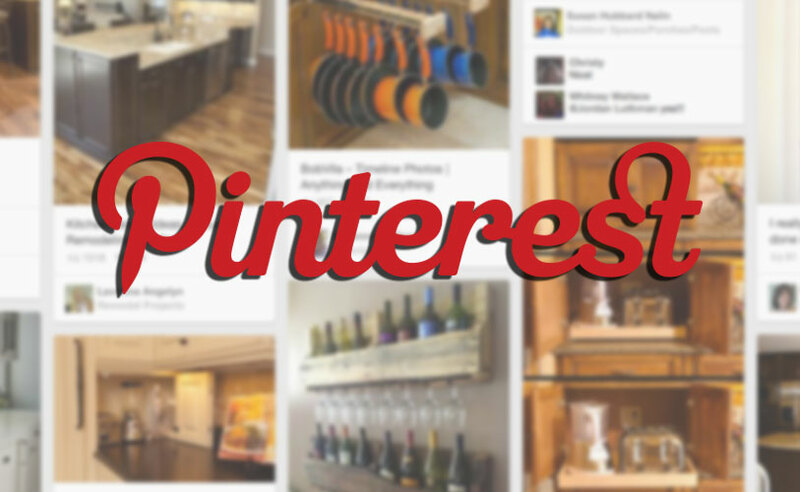 Pinterest is the ultimate place for daydreaming of all kinds. Whether you're planning your dream wedding, thinking of creative party ideas or fantasizing about your future house, plenty of visual ideas and inspiration exist in this beloved hub. One of my guilty pleasures is looking at kitchen interior designs. The kitchen is one of the most important rooms of a house, after all! It's where we eat, (unless you have a separate dining room) cook, entertain and contemplate life, you know? Memories are made there. Whether the theme of a kitchen is made up of bold and fun colors or a rich neutral palette, color scheme has a big influence on how you feel about a room. Colors have very psychological aspects to them, actually and have the ability to even effect your mood. Based on my personality, I'm one to go the bold and fun route. 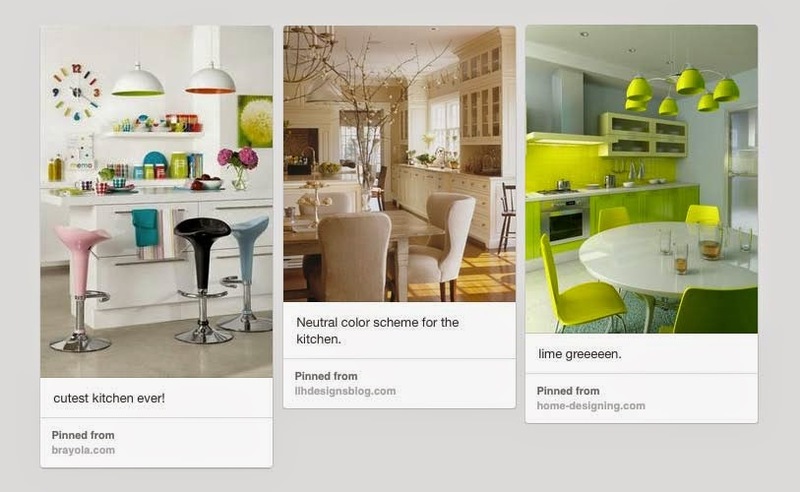 My perfect kitchen would have at least a little bit of my favorite color, lime green, in it: It's fun, it's calming and it makes me happy. 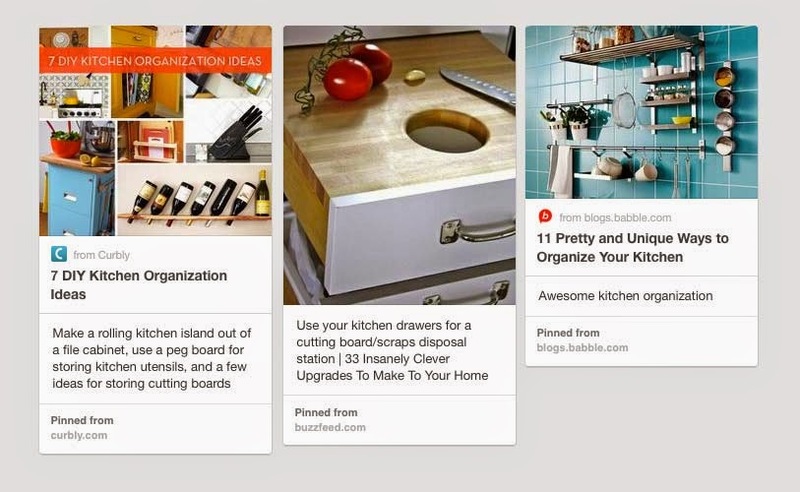 Soooo many clever ideas are out there for kitchen organization. Even having a smaller kitchen can be a mixed blessing, forcing you to be creative about using the limited amount of space. One thing I've learned is the wall is often an underutilized storage area. Storage isn't just limited to cabinets and drawers, people — putting things on display can serve multiple purposes! Adding a shelf or a hook not only increases storage space, it increases the accessibility of tools, spices and other gadgets. Also, creative storage can even serve as a decorative element in your kitchen. Storage can be decoration and decoration can be storage. It's a beautiful thing, really. Like I mentioned, putting kitchen objects on display can serve a decorative purpose as well as being functional. 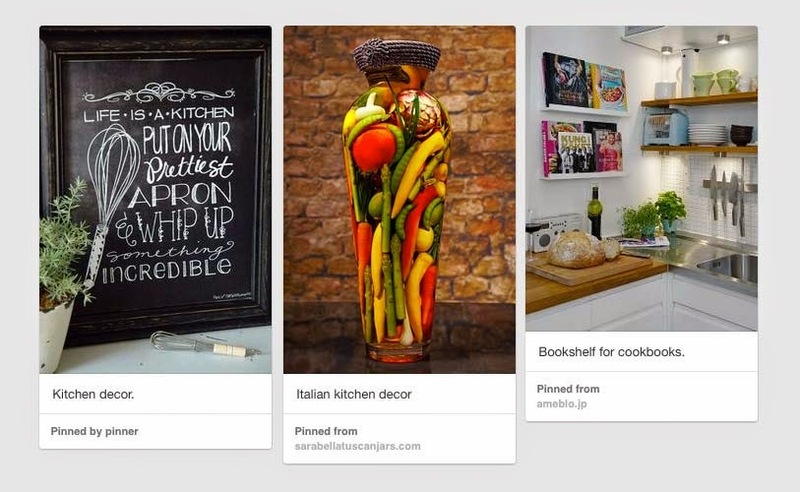 Nothing brightens up the room quite like a bowl of citrus or a cleverly placed cookbook! Speaking purely decorative, something I'll have in my future kitchen for sure are a few framed art prints. I might even design some of them, myself... Hanging images and quotes adds so much character, charm and sometimes even a little humor to your kitchen. You heard from me, now what's in your dream kitchen? Alyx, I don't know what I would do without my gas range! I hope you get it one day, it's so much faster and more efficient.